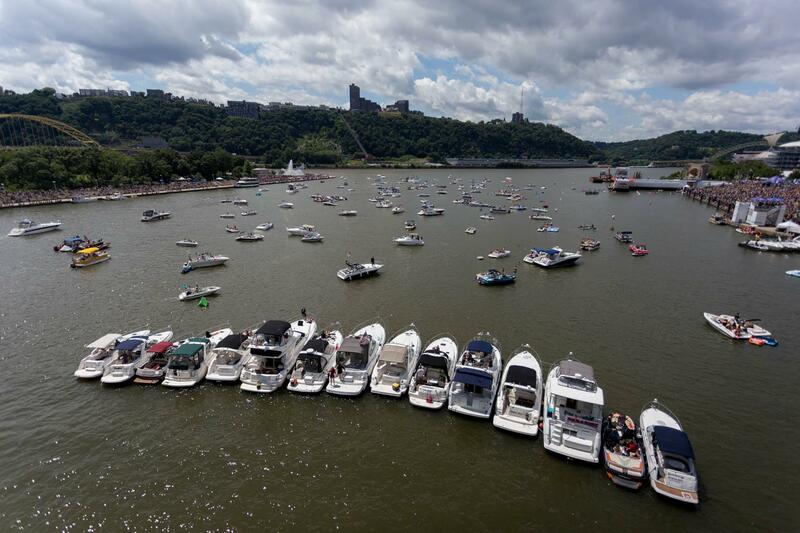 Homemade aircrafts, 46 in total, launched off a 22-foot platform into the Allegheny River Saturday. Most crafts took a nosedive straight away, but a few got enough air to soar a short distance down the river. Red Bull’s Flugtag brought crowds to the North Shore and Point State Park as teams displayed their aeronautical knowledge and dancing talent — some teams possessing neither, much to the pleasure of the crowd.